The beauty of having a life of less clutter, a life of more time, is that we are able to get more use (and therefore more value) out of the things that remain. 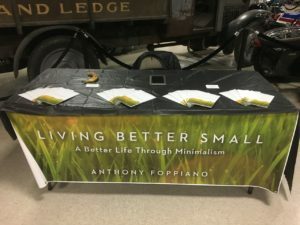 Without a bunch of clutter to store and maintain, and useless activity, we free up our space and time to take full advantage of our valued possessions and resources. I find that this is a “perk” of being a minimalist. I discover more and more all the things I have access to that I did not and would not have discovered or been able to take advantage of, had I not been a minimalist. Through Facebook, I can get real time news feed on all current events right on my phone through pages like Fox News and CNN. This more than compensates for the fact that I don’t have cable TV. I am still informed. I spend roughly $30/month on a gym membership that I have always used to do spin class during the off season (that I do not bike outside). Recently though, I have decided to get more value out of that membership by trying some other classes (Yoga, Body pump). It occurred to me that if I am already paying for membership, then I should be getting more value from that membership. I have had all this resource available to me, that has been squandered. Then it occurred to me that there are lots of people with gym memberships that take advantage of next to nothing ….. what a waste. For $30 a month, there is a lot of value to be packed in. Local Parks – Where I live there are many public parks, some of which are very beautiful, and quite large. These parks can be used for any recreational activity one would like to partake in. Fit and open for parties, BBQ’s, and sports. And most are immaculately maintained. They are well maintained because our tax dollars pay for them to be well maintained. Might as well use them, or that is more money squandered. Come to think of it …… with that being said, I still don’t understand why so many people obsess over having a large yard, a large piece of property. With access to wonderful park areas that we are paying for, why would one need to own a yard? 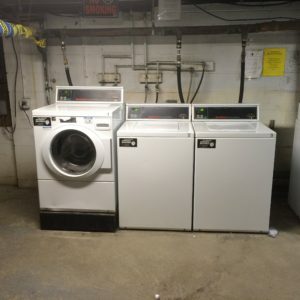 On premises washer and drier – In my condo complex we have access to us laundry facilities, and what vexes me is the fact that people still insist on having their own washer/drier in their units instead of using the public ones. For starters, you have another possession to maintain. Second, it’s only a mater of a short period of time before these machines fail and need to be repaired. With the facilities machines this is less likely, as they are industrial quality. Third, one less thing taking up space. It seems to me that humanities obsessive need to covet everything has clouded any drive toward making full use of the very things we covet. We figure that just by owning something, we must be getting full value out of it. If we truly look into and make full use of the things we own, we will be often surprised at how much we will discover that the things we coveted so much, we really don’t need; because those needs can be satisfied by the things we already own.